Each of our 14,000 members is allocated to a local service hub. This is the group that represents members at charity meetings and policy discussions. Service hubs follow the boundaries of one or more local authorities and seeks to raise funds locally to carry out projects for the members in their area. Members are invited to join the executive committees of the service hubs to become more involved in the activities of the charity in their local area. Informal meetings between member groups also take place regularly across the country to ensure there is open and frequent communication as well as opportunities for training and idea sharing. 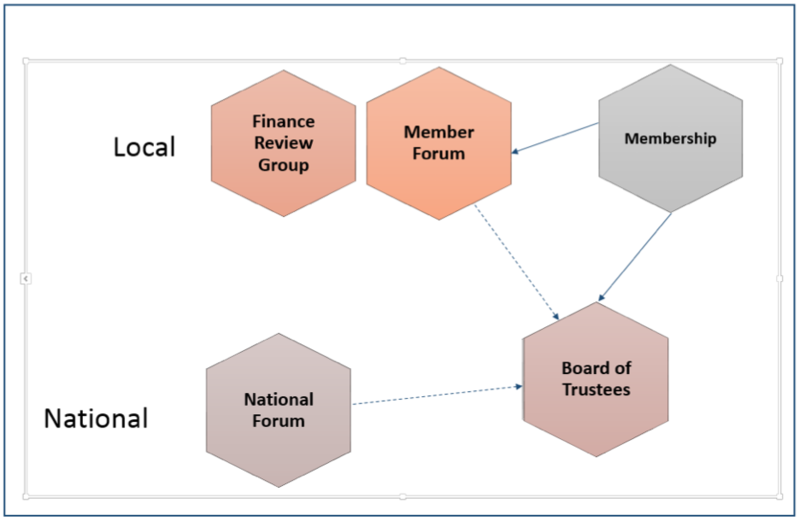 The board of trustees is the governing body of the Alliance and the majority of the trustees are elected from the charity’s membership. Others trustees are appointed externally and are selected by virtue of their background, knowledge and experience. The board of trustees appoints the chief executive who is accountable to the trustees for day-to-day management of the charity and implementation of policy and the strategic plan as approved by the trustees. The Alliance is a charitable company, limited by guarantee. It is subject to company law, as well as charity law. Its governing documents are set out below. Each year, the charity’s trustee’s prepare an annual report for the Charity Commission that sets out the Alliance’s achievements over the past year. These reports are also made available below for stakeholders and other interested parties. We are committed to implementing effective systems to combat slavery and human trafficking. We are a national, educational charity, incorporated as a company limited by guarantee. As the largest and most representative early years membership organisation in England, we represent the interests of over 14,000 member settings who deliver care and learning to over 800,000 families every year. We also directly manage a range of children’s services - mainly in deprived areas. Our supply chains are primarily limited to the UK and the EEA. Our anti-slavery and anti-human trafficking policy reflects our commitment to acting ethically and with integrity in all our business relationships and to implementing and enforcing effective systems and controls to ensure slavery and human trafficking is not taking place anywhere in our supply chains or our business. As part of our initiative to identify and mitigate risk, we regularly perform appropriate risk based due diligence on all our internal processes, business partners, consortia members and providers of goods and services. We have a zero tolerance policy on slavery and human trafficking. All our contractors and suppliers must comply with our values. We have a rigorous compliance adherence programme in place to ensure that all contracts have warranties of compliance and appropriate due diligence processes. Our in-house compliance team consists of representatives from Legal Services and Human Resources teams who monitor systems to ensure adherence. To ensure a high level of understanding of the risks of modern slavery and human trafficking in our supply chains and business, we provide training and guidance to Alliance employees on a regular basis. On an annual basis, we regularly review the implementation of activities outlined above and our effectiveness in preventing breaches of the Modern Slavery Act 2015. This statement is made pursuant to section 54(1) of the Modern Slavery Act 2015 and constitutes our slavery and human trafficking statement for the financial year ending 2017. This statement has been approved by the organisation's Board of Directors.